Light and economical. 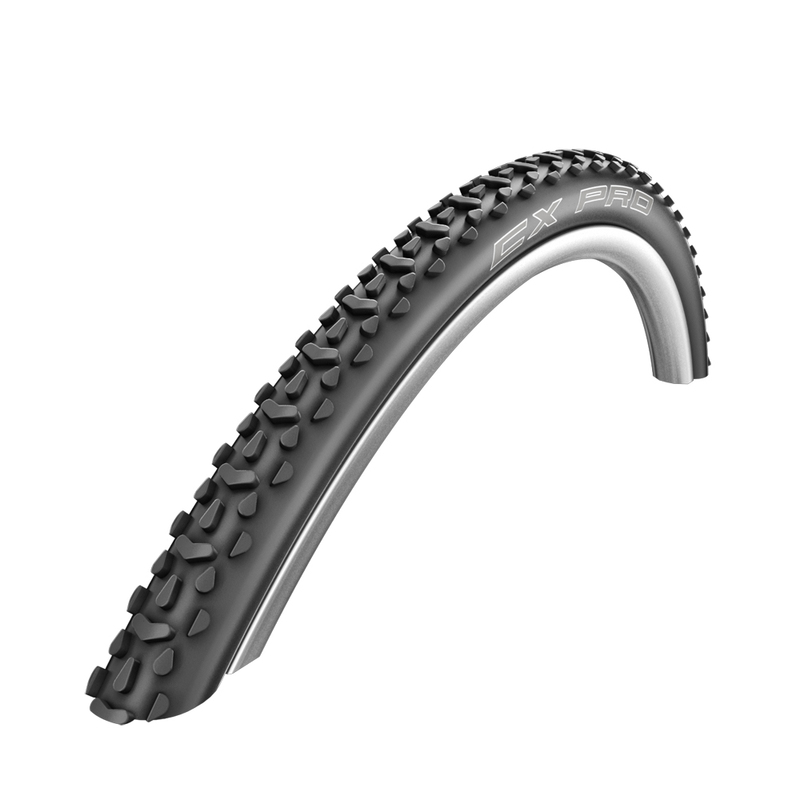 The Schwalbe CX Pro Performance is a cyclocross tyre with an aggressive tread pattern that is ideal for wet muddy conditions. The performance dual compound tread pattern provides grip while shedding excess mud as it rolls along. With their 26" wheel diameter size these tyres are a good option for some smaller-sized Junior cyclocross bikes.